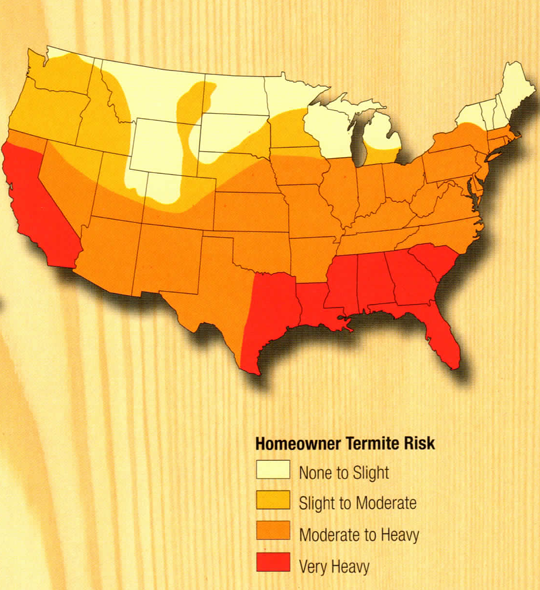 It is estimated that termites end up costing Americans about $1 billion a year in damages. It is clear to us, and many of our customers, that halting termite damage is of the utmost importance. Our service has been perfected over the years. We offer our customers a knowledgeable staff and effective tools to ensure that the termite issue is eradicated. 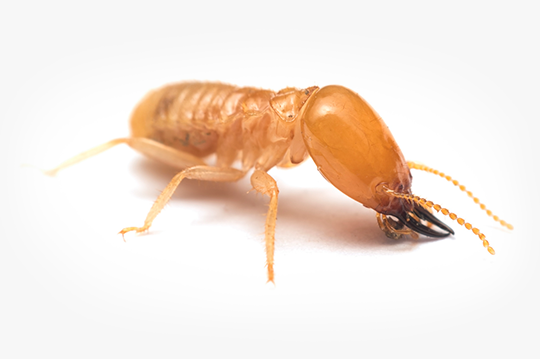 Termite control is perhaps one of the most involved types of pest control out there. The service does not only include the elimination of the issue, it also includes prevention. Both of these require the technician to be skilled, precise, and careful, because they will be working on the foundation of your property. An engineer can tell you just how delicate the foundation of a building can be should it be improperly handled by an inexperienced termite control specialist. You can be sure that the technicians in our organization are both registered and properly trained. They have worked on homes and businesses, meaning there is nothing they cannot handle. Our termite service starts with our inspection. The inspection is performed by a professional inspector. It is a detailed process that helps us determine the type of termite infestation that you are dealing with. It also allows us to establish the degree of the infestation and pinpoint all possible entry points. The inspection will involve creating a meticulous graph of the property that will help us develop a safe plan of attack that will kill the termites while keeping your property safe. You will also get a quote for the work and estimated process time. The next step will involve a team of our specialized termite control specialists visiting you. This team might only have two people, but it could go up to four people as this does depend on the size of your property. The team is there to drill through the foundation at carefully selected locations where they will apply Termidor 80wg, which is considered a premium termite-killing solution. It may be necessary to pump around one hundred gallons of the termiticide near the foundation of the building or right under it. Our training helps ensure that the building is not contaminated or the foundation disturbed. Our team will use everything, from foam machines, masonry drills, pumps, carbide bits, and sub-slab injectors, just to name a few tools. It should be noted that the treatment is meant to deal with the issue at hand but also create a barrier between your building and any future termite risks. We also offer yearly termite renewal services though the first liquid treatment is meant to last 10 years. The yearly inspection is meant to give you peace of mind and ensure that nothing happens. Think of this package as an insurance policy that we provide to make sure your property is not attacked by these destructive insects. Be sure to give us a call so that we can talk to you about some of our options and how we can best serve your needs. We happily service Alpharetta and all its surrounding areas. Our team of specialists are ready to answer any questions that you may have about our termite control process. The center of a termite colony always has a minimum of one king and one queen, whose only function is reproduction. She can reach an age of 30 years. Every year, a queen can lay thousands of eggs. Nymphs are born from the hatched eggs. Termites split up into castes when they are in the nymph stage. These castes are workers, soldiers, reproductives, and supplementary reproductives. The caste that is designated for building, repairing, finding food, and taking care of other termites are the blind and wingless workers. Infested wood is where they are more likely to be located. The only job of soldiers is to defend the colony. They are wingless, blind, and do not reproduce. Eventually leaving the colony as Swarmers, these termites will lose their wings and pair up after swarming. Each new pair, consisting of a male and female, will endeavor to start a new colony. This caste assists with population increase in established colonies. They are able to replace the king or queen if they happen to die.